Most conferences are planned months in advance, and the conference website is continually updated with new and changing information. Bookmark the conference website and check it periodically for changes in the months and weeks leading up to the event. As the date of the conference approaches, review the agenda and develop a plan. Day One can feel ripe with possibilities, but it can also be overwhelming. A little bit of prep work goes a long way for a successful conference experience. Most conferences have a wealth of interesting topics and dynamic speakers, organized around a central theme. Develop a list of sessions you are interested in attending. To get the most out of your admission, select only the sessions that will enhance your goals. Resist the temptation to overschedule yourself at a conference; make sure you plan time to rest as well as take a restroom break. You may also find other kindred spirits in educators who were smart enough to do the same, and you can connect with them face-to-face. Some of the sessions you are interested in might overlap. If you are fortunate enough to be able to attend the conference with one or more of your coworkers, you can cover more ground, session-wise. Divide and conquer! Plan a debriefing session after each day or post-conference to share what you’ve learned with the others in your group. Many session speakers provide handouts that go along with their presentation. These, along with your own notes and interactions, will help you collaborate with your fellow educators at the conference. 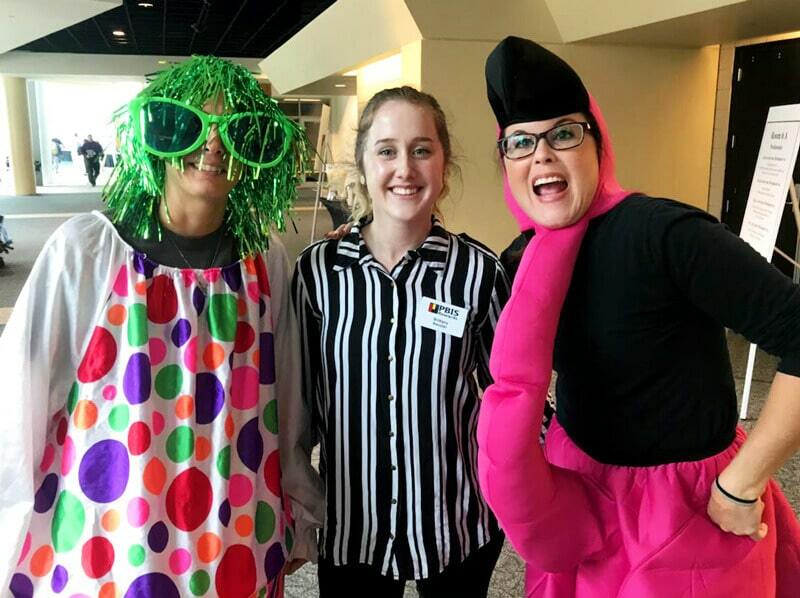 Many times, the products and services exhibited at education conferences will make your job much easier, so take some time during your day to pay the exhibit hall a visit. Plus, there will likely be a lot of swag to snag! I mean really, who doesn’t love some free swag? There will be raffles and giveaways, too, so come armed with address labels with your school contact information on them – it makes filling out entry forms a breeze! And bring business cards if you have them. It’s a great opportunity to network with vendors and attendees alike. Most conferences offer networking events like pre-conference breakfast or evening cocktail hours. This is a great way to meet presenters and fellow attendees in a relaxed atmosphere. Some conferences host special events for newbies, to give them a leg up and help them get the most out of their conference experience. If this is the first conference you’ve ever attended, such guidance will be incredibly helpful. But newbie or seasoned pro, don’t miss the opportunity to mingle with like-minded individuals with a passion for education. You will have ample opportunities to meet other educators and experts in the educational field at a conference. New perspectives about your profession are always helpful. But networking should begin well in advance of the conference date. 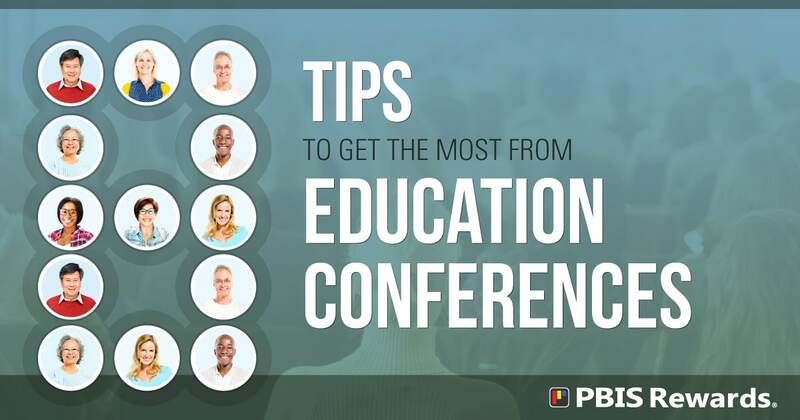 Use social media to connect with other educators attending the same conference – search the “official” conference hashtag to see who is talking about the event. Don’t forget to use the hashtag in your posts, too. It will help others to connect with you. Add your email address and Twitter handle to the conference’s mobile App. This is a great way to connect with other educators who are at the conference, just as you are. When you get to the conference, add your Twitter handle and/or your email address to your badge to help people to connect you to your social media. Afterward, you can continue to meet up with and exchange ideas via a Twitter chat or other social media. Three things you absolutely need for a successful conference experience: a good, sturdy tote bag, snacks, and comfortable shoes. You’ll need a good tote or backpack to hold vendor freebies as well as handouts from the sessions you attend. While most conferences hand out tote bags, they may not be sturdy enough for your needs. You can also use your tote to stash some snacks, in case you’re caught between sessions with no time for a proper meal. And because you’ll spend a great deal of time on your feet, make sure your shoes are up to the task. Few things are more distracting than sore feet. What do you want to implement immediately, long-term, and learn more about? Frame what you’ve learned by dividing it into these three areas. When you return to your school, you’ll want to put some of what you’ve learned into practice. Identify the tips and information that you can use to make an immediate impact. Then, take a long-range view. Some of what you’ve learned will take time to develop, so give yourself a longer time frame to do that. Finally, take a look at the material that challenged you. There might be something that got you really excited but you need more information. Use that excitement to propel you into learning more about a topic. Conferences are a great way to recharge your batteries and renew your passion for teaching. It’s exciting to meet other educators who share your dedication to students, and invigorating to learn about the latest research and newest trends. Still, conferences present a lot of information in a very short time period, and it can be overwhelming. Taking the time to prepare and plan your education conference experience can help you get the most out of your admission ticket.